Our family is your 'typical' American family - 2 biological children - 1 boy and 1 girl. We are part of a church where adoption is a familiar term due to the number of families there that have decided to open their homes and hearts to be forever families. We had been feeling a tug at our hearts for adoption mainly through a family that had hosted a boy from China in 2015 and then eventually adopted him. It was during their fundraising that we heard a presentation from Nightlight Christian Adoptions and decided that this was what God wanted us to do. Of course, with adoption comes a financial commitment to raise money. BUT we were at the point where Kevin had retired from the military and we were waiting for decision on a new job for Kevin. We made the decision to step out in faith and say that we were going to adopt on a Friday. That following Monday, Kevin received notification that we had been hoping/waiting/praying for. This was a great gift from God to provide for our daily needs. We knew that since God was calling us to adopt, He will provide for the adoption, through all of His children. After we started the adoption process, we saw that Nightlight was doing the summer hosting program again and would have girls in the program. 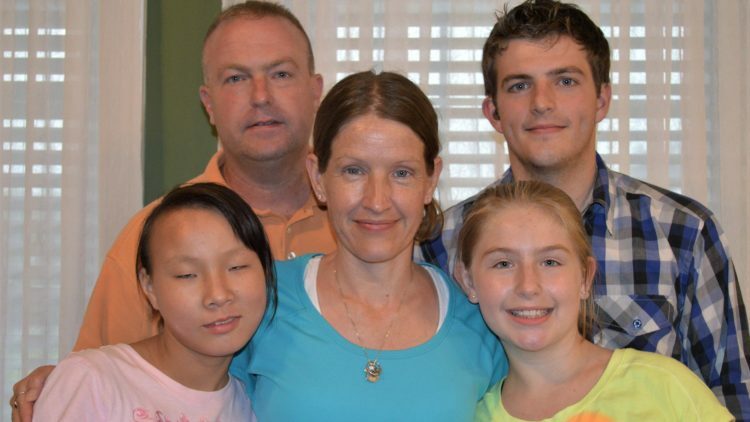 We truly felt that God was leading us to adopt an older girl from China. After reviewing all of the profiles of the children available for hosting, we decided to host Mariana, a 12-year-old girl with cataracts. The two weeks that she was here was truly an adventure, and we are looking forward to continuing the adventure as a journey for a lifetime! Angela, I hope this helps complete your family. My prayers and love are with you always for God's will to be done concerning your family. Enjoy seeing you share the Love of God. Blessings abound! Congratulations on your new family member! What a wonderful journey your family is taking! May God bless you in this journey! Prayers for your family and your sweet girl! Can't wait to meet our new little cousin! Thank you for sharing your home and your heart with this sweet child. Praying for you all as you go through this process. Many blessings to you!! Congratulations! We're excited for you all! Prayers that this blessing can happen. Such a wonderful family! Such a lucky girl! We're so excited for and encouraged by your family!